Frank D. Isoldi, a licensed real estate agent in the Westfield, Union County, New Jersey, market, has rejoined the prestigious Haute Residence Real Estate Network. 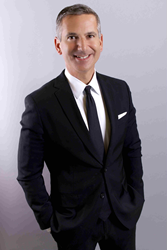 The Haute Residence Real Estate Network (Hauteresidence.com), affiliated with luxury lifestyle publication Haute Living, is proud to continue its partnership with Frank D. Isoldi, recognizing him as a prominent real estate professional. A Westfield native, Isoldi achieved this momentous accomplishment as his latest achievement in 28 years of consistent sales success. For 10 consecutive years, he has been the number one sales associate at the Westfield East office. Based on his phenomenal 2015 sales, Isoldi was awarded the uppermost Coldwell Banker “International President’s Premier Award” for the 16th consecutive year as well as the New Jersey Association of Realtors (NJAR) “Circle of Excellence Sales Award” at the highest “Platinum Level,” which he has received every year since 2003. Isoldi has been named New Jersey Monthly Magazine’s “Five Star Real Estate Agent” multiple times, and was ranked as the No. 8 real estate agent in New Jersey based on sales volume by the 2014 REAL Trends Best Real Estate Agents in America List. “This is a tremendous accomplishment for Frank, and it is the result of his constant hard work and dedication to client satisfaction. Frank is the real deal. He genuinely cares about the people he represents, and he possesses the skills and abilities to help them reach their home ownership goals,” said Hal Maxwell, president of Coldwell Banker Residential Brokerage in New Jersey and Rockland County, New York. Coldwell Banker Residential Brokerage––in New Jersey and Rockland County, New York––a leading residential real estate brokerage company, operates 57 offices with approximately 3,000 sales associates serving all communities from Rockland County, New York, to Monmouth County, New Jersey. Coldwell Banker Residential Brokerage in New Jersey and Rockland County, New York, is part of NRT LLC, the nation’s largest residential real estate brokerage company. Visit http://www.coldwellbankermoves.com for more information.